From soup to nuts, stem to stern, pillar to post. Pacific Northwest National Laboratory scientists representing both ends of the research experience spectrum were recognized for their publication prowess by the American Geophysical Union (AGU). Congratulations to Drs. L. Ruby Leung, a Laboratory Fellow, and Ben Kravitz, a postdoctoral researcher, both atmospheric scientists at PNNL. AGU named the two scientists among the top authors in American Geophysical Union journals over the last three years. Leung and Kravitz frequently publish in AGU journals such as the Journal of Geophysical Research: Atmospheres, Geophysical Research Letters, the Journal of Advances in Modeling Earth Systems, and Water Resources Research. The accolade was announced at the 47th AGU Fall Meeting, attended by more than 27,000 Earth and space science researchers. 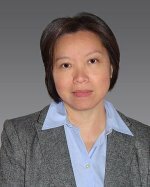 Leung is an internationally recognized researcher whose climate modeling advancements help guide national policy-makers on decisions related to water, agriculture, energy, public health and national security. As a Laboratory Fellow, she is among the most distinguished scientists at PNNL and a mentor for the next generation of researchers. Leung's research helps define future priorities in climate modeling and hydroclimate research, developing regional climate models that are used by science teams around the world. Holding several distinguished fellowships, Leung is also a member of the Washington State Academy of Sciences. Kravitz, whose PNNL postdoctoral appointment began in 2012, is rapidly receiving recognition for his research in climate modeling with a focus on geoengineering—proposed tactics to deliberately reduce the amount of solar energy retained by the Earth. His research works to understand the relationships between natural and human-caused changes in the atmosphere, and how geoengineering techniques may impact those interactions. 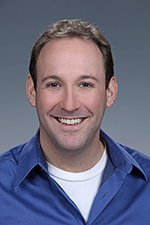 He joined PNNL after receiving a Ph.D. in atmospheric sciences from Rutgers University. He has published more than 33 peer-reviewed papers and helped establish the Geoengineering Model Intercomparison Project (GeoMIP) to understand how climate models treat geoengineering scenarios.